The Traffic Club of Montreal’s Annual Golf tournament brings together the decision makers of the transportation industry. 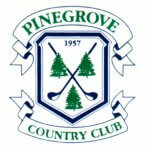 This year’s tournament will take place at the world-renowned Pinegrove Country Club known for its Canadian PGA tournaments. All non-members will be required to secure their reservations with a credit card. No refunds or cancellations of tickets after May 31st, 2019. In the event of the non presentation of the client, no reimbursement will be considered.